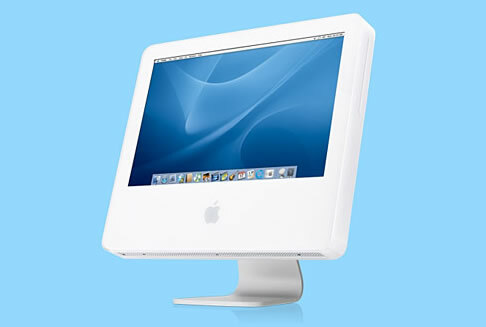 Apple today announced a third generation iMac. Keeping to the all-in-one form factor, this new revision sees the LCD screen mounted alongside the G5 powered CPU and other hardware, mounted on one leg, reminiscent of the recently released Apple Cinema displays. I can’t help but notice similarities to the original Macintosh of 1984—well perhaps from the front, certainly not from its 2” side!